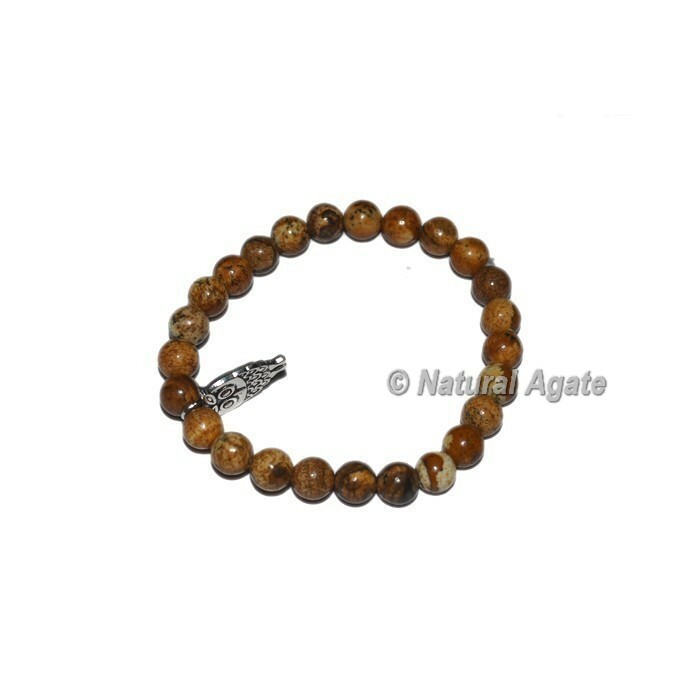 This accommodating bracelets includes an extremely oversimplified style with profoundly cleaned picture jasper dots joined with owl beguile. Picture Jasper empowers activity and is especially useful in all business interests. Wear or convey this bracelets to rouse certainty, innovative vision and down to earth application in beginning your own business. For any exceptional request or for a plan of your decision reach us straightforwardly.